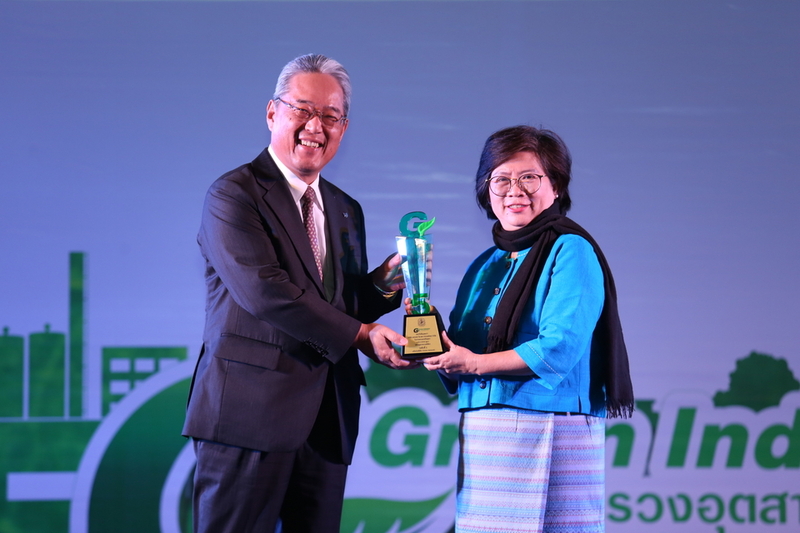 Mr. Kazumasa Sakurai, President of Canon Hi-Tech (Thailand) Ltd., recently represented the company to receive the Green Industry Level 5 Award from Ms. Nisakorn Jungjaroentham, Deputy Permanent Secretary of the Ministry of Industry, in a ceremony held at Makawanrangsan Grand Ballroom, Royal Thai Army Club, Bangkok. 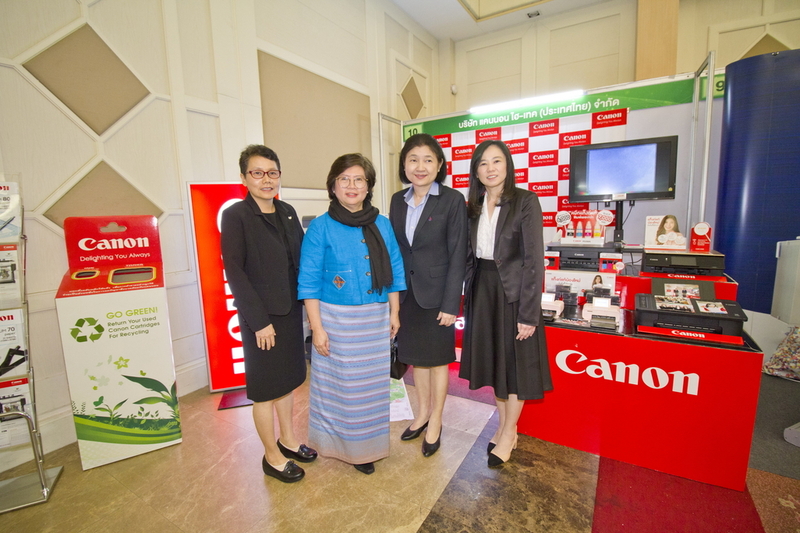 Canon Hi-Tech (Thailand) Ltd. is the first Electrical and Electronic industry to receive the Green Industry Level 5 which is the highest level of award. 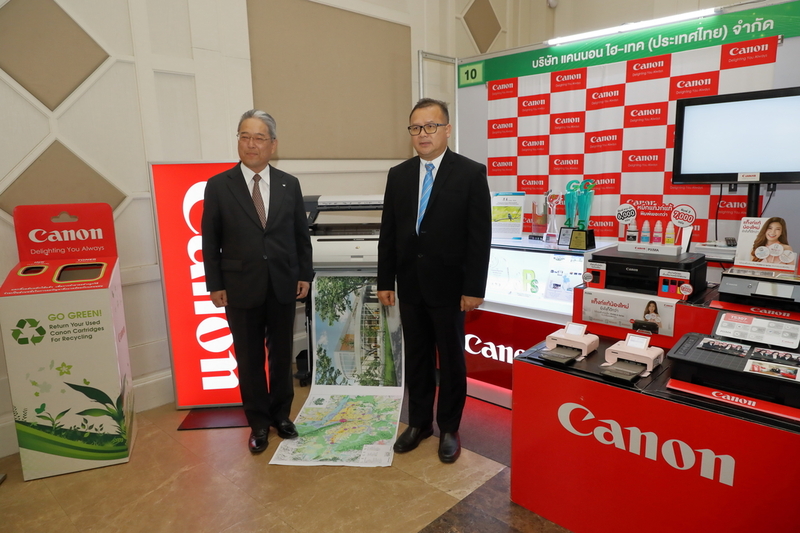 Companies in the Canon Group are guided by Canon corporate philosophy of “Kyosei” that focuses on “living and working together for the common good” to implement promotion, creation and interrelation of environment activity with stakeholder throughout supply chain, community and consumer with substantial achievement and to develop continuously and sustainably. The Ministry of Industry launched the Green Industry project organization-wide since 2011 to raise the awareness of industrial firms on social and environmental issues and to reward the environmental friendly industries by focusing on continuous improvement and corporate social responsibility for sustainable development by certifying the 5 levels Green Industry marks for the firms. There are Level 1 - Green Commitment, Level 2 - Green Activity, Level 3 - Green System, Level 4 - Green Culture and Level 5 - Green Network. Green Industry Level 5 - Green Network, Demonstration of network extension throughout green demand chains by supporting business partners & allies entering into accredited green industry process. 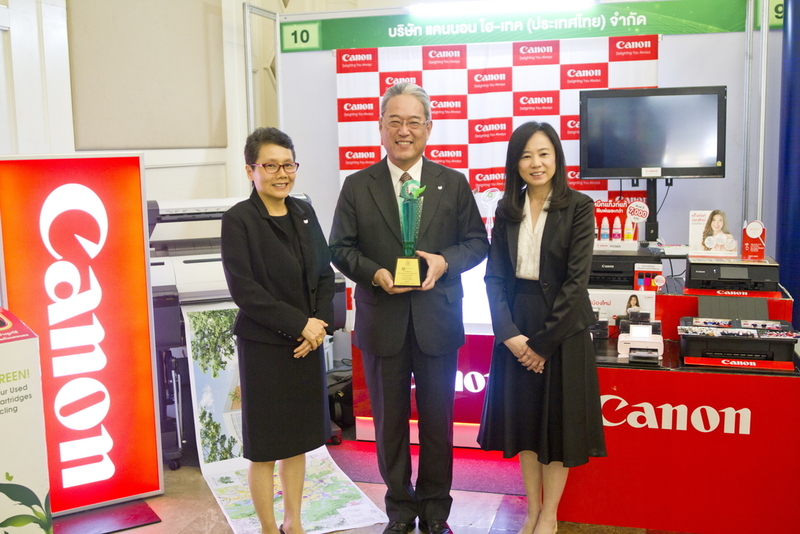 In 2018, there have been 12 factories awarded the Green Industry Level 5, five of which are operated by Canon Hi-Tech (Thailand) Ltd.
Mr. Kazumasa Sakurai (center), President of Canon Hi-Tech (Thailand) Ltd.
and Canon Hi-Tech (Thailand) Ltd. (right) at Canon’s booth at the awards ceremony.